Giving CPR to a paper bag is required if the bag appears to contain cocaine. 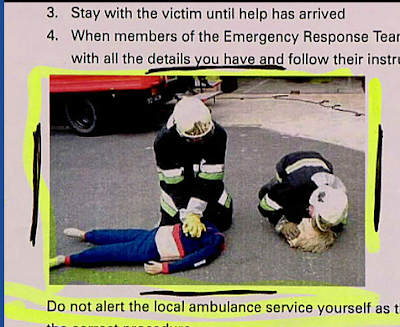 The dummy probably belongs to the ventriloquist who was driving the vehicle and the fireman was a fan of his. Hopefully, no one was seriously hurt or arrested.